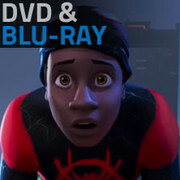 Find a full list of the movie and TV titles headed to disc in March, including Oscar winners Spider-Man: Into the Spider-Verse, The Favourite, Green Book, If Beale Street Could Talk, and more. 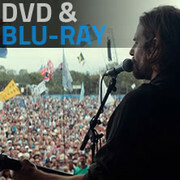 Find a complete guide to TV and movie titles heading to Blu-ray and DVD throughout the month of February, including A Star Is Born, Shoplifters, Widows, Bohemian Rhapsody, Can You Ever Forgive Me?, Ralph Breaks the Internet, and more. 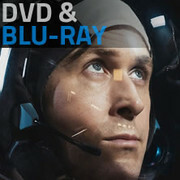 Find a complete guide to TV and movie titles heading to Blu-ray and DVD throughout the month of January, including First Man, Suspiria, The Hate U Give, Bad Times at the El Royale, and more. 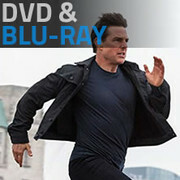 Find a complete guide to TV and movie titles heading to Blu-ray and DVD throughout the month of December, including Mission: Impossible-Fallout, Venom, The Predator, Westworld, and more. Find a complete guide to TV and movie titles heading to Blu-ray and DVD throughout the month of November, including Crazy Rich Asians, Incredibles 2, BlacKkKlansman, Sharp Objects, and more. Find a complete guide to TV and movie titles heading to Blu-ray and DVD throughout the month of October, including Ant-Man and the Wasp, Killing Eve, Sorry to Bother You, Eighth Grade, Barry, and more. Find a complete guide to TV and movie titles heading to Blu-ray and DVD throughout the month of September, including Hereditary, Solo: A Star Wars Story, Won't You Be My Neighbor?, Jurassic World: Fallen Kingdom, and more. 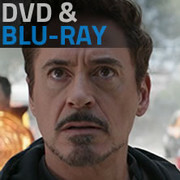 Find a complete guide to TV and movie titles heading to Blu-ray and DVD throughout the month of August, including Avengers: Infinity War, Deadpool 2, RBG, and 2018's highest-scoring film. 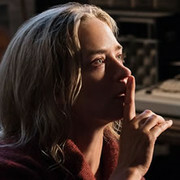 Find a complete guide to TV and movie titles heading to Blu-ray and DVD throughout the month of July, including A Quiet Place, Ready Player One, Isle of Dogs, and more.